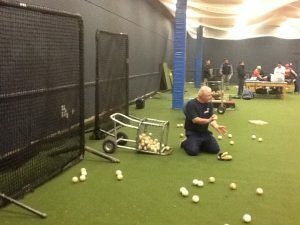 Professional Baseball Instruction is located in Ramsey NJ at 1300 Route 17 North in the Ramsey Square Shopping Plaza with nearly 6,000 square feet of field area and cages. Players can train year-round in a fully-equipped environment. In addition, we have portable mounds that can moved according to age and level of play: 46 feet for the youngsters to 60 feet 60 inches for high school players and up. We can host full-squad workouts for all age levels, and the field can be used in its entirety or divided into sections. 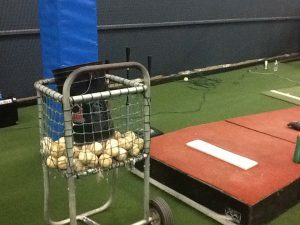 Our 60-foot tunnels can be used for pitching and hitting. Equipped with L-screens, they’re ideal for giving pitchers the opportunity to throw full distance to hitters. And of course, hitters always find a workout more effective when they’re hitting off of a live arm. For complete details on our facility or to inquire about individual or team workouts, please call us at 800-282-4638.